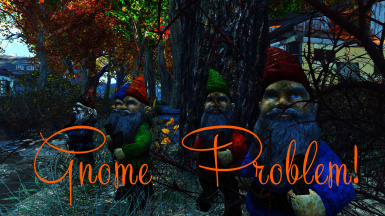 Bethesda brought back the gnomes.... but didn't give us the ability to craft them! Well, the problem has been solved! 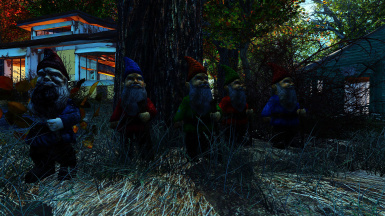 Now you can craft four unique lawn gnomes (including two I re-colored into green and orange) , and the destroyed lawn gnome. 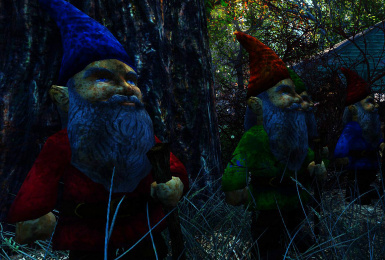 This also "corrects" the all-red gear gnome to have a blue cap. Because symmetry is a beautiful thing.